Getting started is easy! All you need to do is book a sit down consult and we will take care of the rest, guiding you every step of the way. Search all of the properties for sale within walking distance to your choice of skytrain station. Emily and Aislynn were both great to work with during our condo sale; easy to talk to and explained the finer points in a way we could understand. We were satisfied with the pricing, staging and the level of activity regarding showings and open houses. We also really liked the real-time feedback we received after showings etc. We were most impressed with the after-sale customer service. 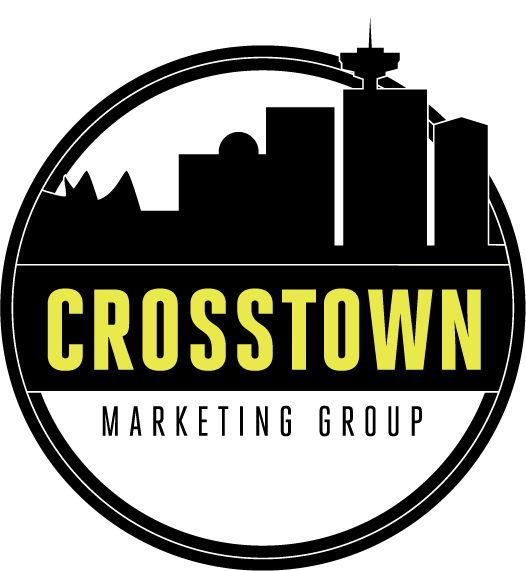 There were a few things we needed to take care of before completion and as we don’t live in the area, Crosstown was able to tackle all of our issues on our behalf and in a professional and timely manner. First class all the way! We sold our condo through Aislynn and Emily and they did a terrific job. From day 1 their professionalism was obvious – they provided useful market research, clearly explained the process, and assessed our needs appropriately. The communication was great throughout from both of them and they did a great job prepping our home for sale. When the offer came in they were prompt, provided good advice and did a great job representing us. We’re very pleased with the results – we got a great price with a fast turnaround and minimum effort from our side. We’re looking forward to working with them for all of our future real estate needs. Crosstown Marketing Group did an outstanding job handling the sale of our house. From preparing it to go on the market, promoting the house and then finalizing the sale – they were, and are, solid professionals! I will work with Crosstown Marketing Group again and highly recommend their services for all your real estate needs. Keep up the great work! In today’s crazy Vancouver Real-Estate market, I needed agents that knew my neighbourhood, that could handle my time sensitive situation and could get it done quickly and professionally. Crosstown Marketing Group did just that. From the marketing of my condo (including a gorgeous video tour), to the extremely professional handling of the open houses right through to accepting an offer, these agents have proven over and over again that they are exceptional in everything that they put forward. This is the first time that I have bought and sold a property and they were able to answer every question I had, and even some I wouldn’t have thought to ask quickly and with the utmost knowledge and experience. They then went back into action immediately and found me the prefect apartment in a great neighbourhood making my transition as smooth as it could be. I cannot thank them enough for all their hard work and effort. The big value add for us was that Crosstown took the time to really understand what we were looking for, the key factors in our location decision, and an understanding of our budget. Aislynn spent considerable time educating us about the market, the legalities of home purchases, and really telling us what we needed to know. I have no issues recommending Aislynn as a realtor and someone to talk to as a knowledge expert on the home market in Vancouver. We use our Signature Marketing System as a foundation from which to create a custom marketing plan, designed specifically for you.